WOW! Want to get your world rocked? 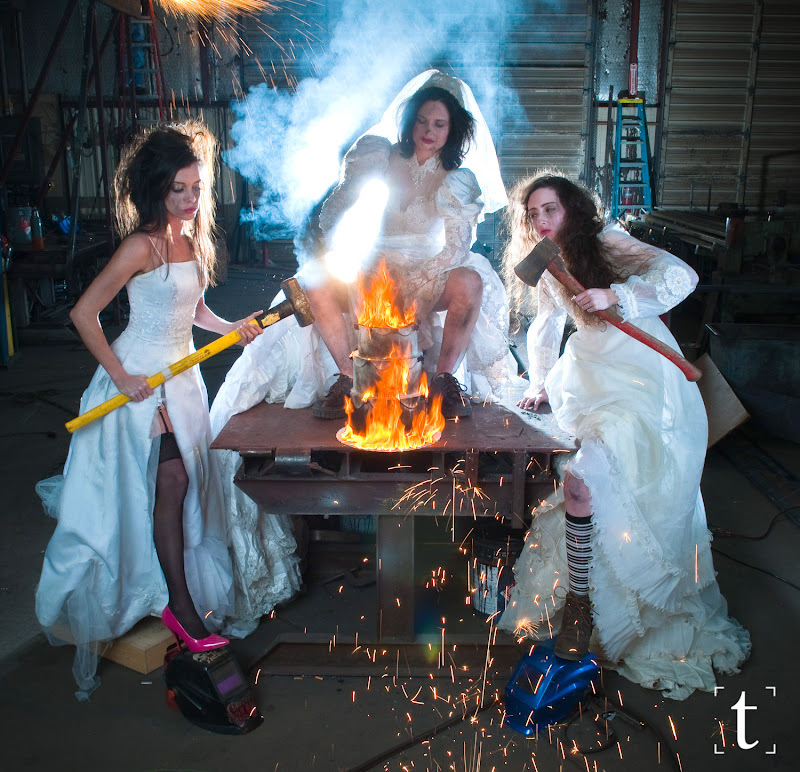 Combine some great models, diehard VALs, amazing MUA, creative freedom... and a metal shop! Welcome to the set of "The UnBride"! 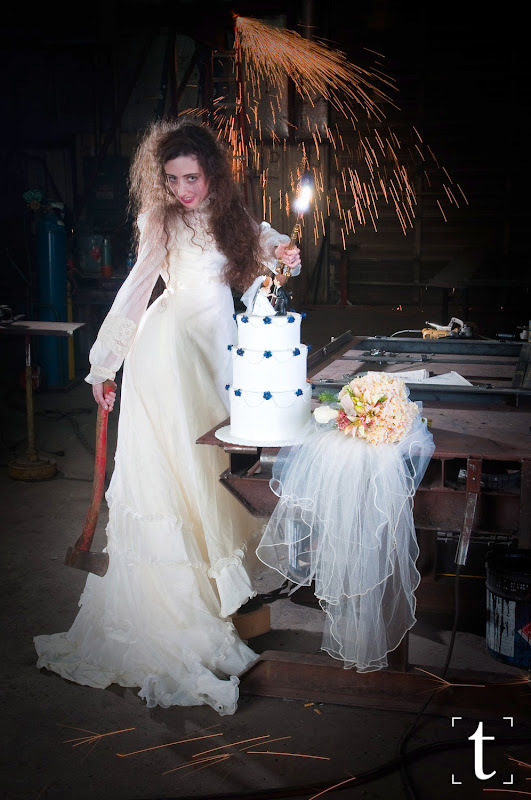 As a wedding photographer, I hear horror stories of bridezilla, hateful maids of honor and pushy mothers so I decided to create my version of the unbride. 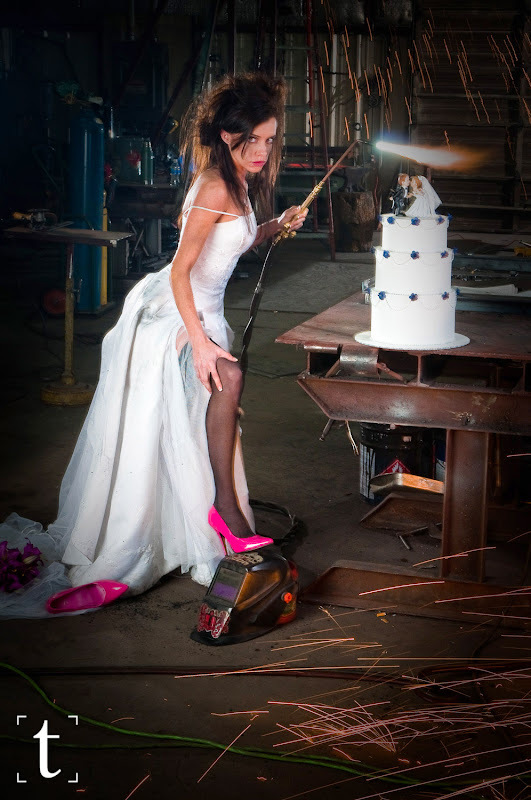 She is your basic "I hate my groom so much...."; the girl next door that loves to heat things up... with real fire!The list is way too long for me to thank everyone... But I really couldn't have done this without your support and trust in my creative vision. Let me just hit the highlights: "Thanks for cleaning up the shop.. Looks great!" 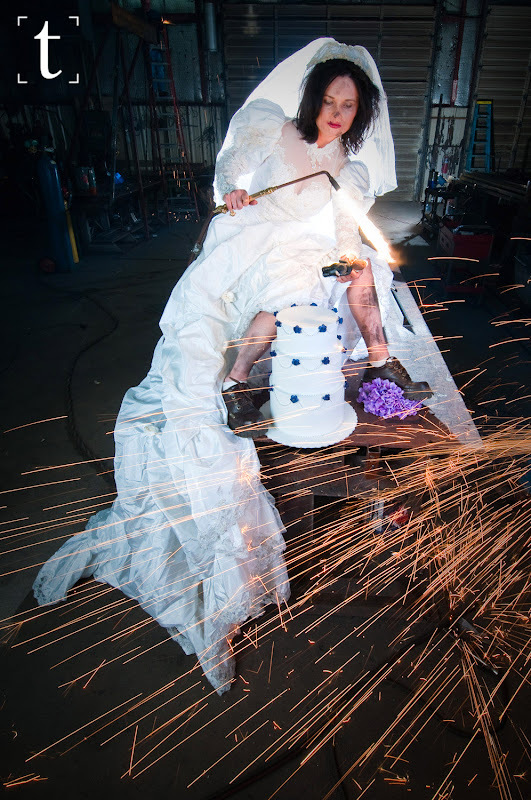 to the all the folks at Iron Masters; real craftsmen that force metal into art. Thanks for being patience and holding a pose to all three models; Elizabeth, Stacey & Rebecca. "You da wo-man!" to my favorite MUA and actress, Beth. A big hug and high five to my VALs; Terri & Brian... and, of course, everyone that came out to watch and wound up holding a lightstand, keeping me from falling, fetching extension cords, etc. I really wanted to have lots of folks on location learning and watching, but we had to limit the number for safety. Here are a few of the quick edits for your viewing pleasure. Comments are always welcome!